BinaryBase is a Bitcoin binary options broker. However, unlike some of the typical platforms that offer binary trading services using the digital currency, this brand exudes professionalism even at first glance. Launched only in 2014, this website already comes equipped with advanced yet user-friendly tools that make trading binary options free of any trouble. As a matter of fact, any bitcoiner who will use the platform for the first time will likely to have less to zero problems in starting a contract. 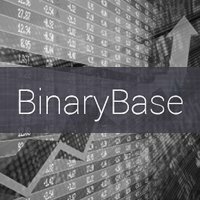 As a Bitcoin binary options site, BinaryBase already has a reasonable amount of tradable assets. Although its index is a dismal when compared to a binary broker that purely accepts real-money payments, it is what investors may consider revolutionary. After all, there are only several brands in this niche market, and only a few offers a range of assets. For the case of this Bitcoin trading platform, investors will find a total of seven markets, namely AUD/USD, EUR/USD, GBP/USD, USD/CHF, USD/JPY, XAG/USD, and XAU/USD. Moreover, there are four expiry times available for every trade: 60 seconds, 15 minutes, 30 minutes, and 60 minutes. Having several trading pairs and more expiration options means that investors will have the flexibility they need in designing the kind of binary trades they truly desire. For instance, you may opt to invest in EUR/USD and buy a contract that expires in 30 minutes or trade XAG/USD for only 60 seconds. In addition, granted that this platform accepts BTC payments only, traders can expect all transactions to be anonymous. In fact, a pseudonym will be provided for every new user to visit the site for the first time. However, they may opt to provide their email address and a password to secure their account. Otherwise, keeping the unique token—the URL generated for every unique player—private is essential to continue accessing the account. Of course, deposits and withdrawals on a Bitcoin binary options trading platform are significantly more efficient than those on a fiat-run binary broker. Unfortunately, traders opting to withdraw are required to wait about an hour since it needs 6 confirmations before the funds are automatically processed and eligible for cashing out. Despite this, it will definitely be worth the wait, especially since BinaryBase posts high payout multipliers for all its trades. In fact, 60-second trades register a 1.75 multiplier while the rest settles for a 1.7 multiplier. Then again, all withdrawals must not be lesser than 10 mBTC.